Mars opposition has come and gone, with the Red Planet enshrouded in a global dust storm first detected by NASA’s Mars Reconnaissance Orbiter (MRO) May 30. The storm has kicked up levels of dust never before seen by instruments on the planet, and darkened the skies enough that NASA’s 14-year-old solar-powered Mars Exploration Rover (MER), Opportunity, has been silent since June 10. When the sky grew too dark to charge the rover’s panels, Opportunity went to sleep, operating in low-power mode until the chance to charge up the onboard batteries reappears. And after two months, the storm may now be lifting. Dust that was hoisted into the air, obscuring the Sun from view on the surface and the planet’s features from eager astronomers on Earth, is finally falling back to the ground and the sky is slowly lightening, albeit “in fits and starts,” according to the MER mission website. What does this mean for the sleeping rover? The mission team, which has been eagerly pinging Opportunity using NASA’s Deep Space Network several times a week since it went to sleep, is now more hopeful than ever that they will soon hear back as the rover’s location clears enough to allow the solar panels to begin collecting power once more. But what has two months of darkness and dust wrought on the go-kart-sized rover, which has already outlasted its planned warranty of 90 days almost 60 times over? Opportunity’s engineering team expects she has experienced several “faults,” which are situations caused by lack of power that require the rover to take independent action to maintain functionality. The first of these, which the team believes occurred on or shortly after June 10, is a low-power fault. This fault means the rover can’t access adequate sunlight to recharge, and enters hibernation until the solar panels again have the coverage they need to juice up the batteries. The second fault Opportunity likely experienced is a clock fault. Though the rover maintains an internal clock even when powered down, too little power will cause this internal clock to fail. In this case, the rover can’t tell how much time has passed, nor does it know the date or when to expect check-ins from Earth or when to send out scheduled signals for engineers to receive. In this case, once power is restored, Opportunity can instead use clues such as light levels to determine whether it’s day or night and regain a rudimentary sense of time. A third fault that engineers expect has occurred is an uploss fault, in which the rover may think its onboard communications equipment is malfunctioning. This occurs if the rover, based on loss of accurate timekeeping, doesn’t receive signals from Earth and instead thinks it’s due to an equipment problem, rather than what is essentially a missed appointment. According to a recent report, the rover’s timer for this fault has expired, meaning it’s most likely occurred. In this state, once power is restored Opportunity will begin checking its communications equipment and scroll through a list of possible ways to re-establish communication with Earth. For now, engineers continue to listen to Mars for signals from Opportunity at her programmed fault check-in intervals. They also send prompts to the rover and listen for a response during these times. The team has also essentially widened the net — the radio science group at the Jet Propulsion Laboratory is listening daily for Opportunity on a broader range of frequencies than normal, using specialized radio equipment focused on Mars during most of the daylight hours at the rover’s location. However, the dust opacity (called tau, which is essentially the amount of atmospheric dust blocking out the Sun) is still too high over Opportunity, and engineers aren’t expecting a reply until the skies clear further. The last measured tau above the rover was 10.8 as the storm ramped up to full force, compared with normal conditions of about 0.5. Even now, the tau above the site remains at about 2.1, based on observations with MRO. 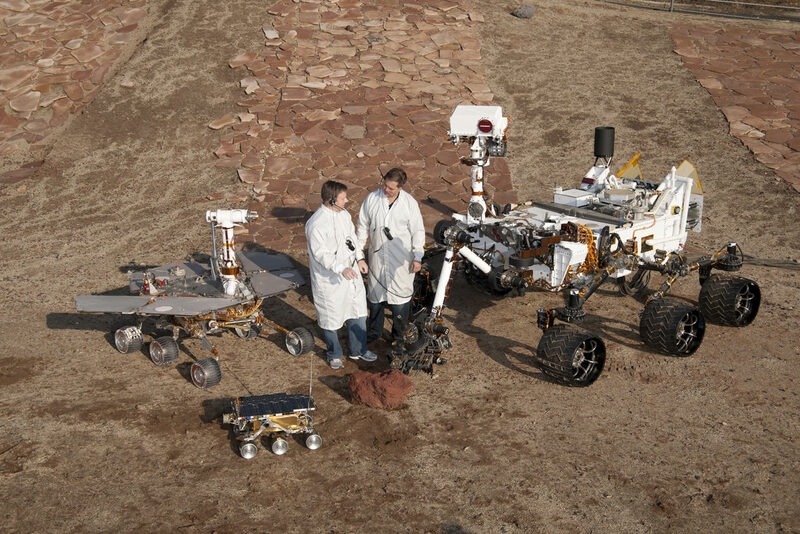 Once the rover’s “voice” is heard, engineers can begin assessing her condition and determine which of the expected faults she may have experienced. They will check the rover’s battery levels — and their capacity — as well as the onboard clock, and reset systems as needed. Using the rover’s camera, they can check for areas that may be caked with dust to determine whether science activities or motion might be impaired. Despite the months-long storm, engineers aren’t too worried about the dust, as most particles collected by the rover over time is eventually dropped. The remaining dust can be modeled and calibrated out of images. But even once the rover has (hopefully) been recovered, she might never be the same. If prolonged hibernation has affected overall battery capacity, they might not be able to retain enough power to run the much-needed heaters that keep the rover warm enough to survive martian winters. If this is the case, Opportunity may survive the next few months only to perish in the cold when winter hits. Regardless of what the coming seasonal changes may bring, however, engineers, scientists, and much of the public on Earth are pulling for the little rover that could. The MER team continues to update the mission’s official page on the team’s expectations and the conditions at the rover’s site. NASA’s Mars Exploration Program has set up an online postcard generator, where you can send Opportunity a heartfelt message from home. Some genius forgot the windshield wipers for the probably dust laden solar panels? NASA got a lot of miles and a lot of knowledge out of this rover. They will be poring data acquired for years, regardless of the current state of the long-lived traveller. Despite what the ignorant may say, I think this serves as a good example of human ingenuity and the quest for knowledge. Ad astra! I look forward to the day when NASA can get your astronauts to the Space Station without relying on that “mudering killer” Putin taking them there for ya! Editing your post AFTER another poster’s response is a no no Mikey! Only devious trolls do that!